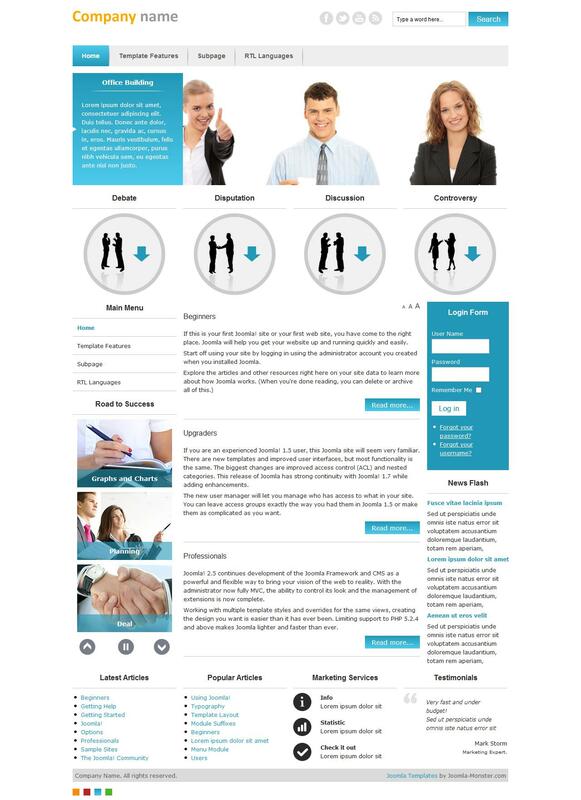 JM Business Marketing - great template designed for a site that perfectly develops its activities. Its design is performed in the style of web 2.0. In his light background placed logo module for searching its horizontal menu quite easy navigation module for registration / login resource. In the template, there is nothing superfluous, nor in the design and not its functionality. The width of the pattern such that it can be easily changed. You can also change the font settings, include support for Google Analitics, Webmaster Tools. The template is clean, has optimized servers search activity code. Layout is adaptive and tableless design. Its source code is supplied with the comments from developers. It is fully compatible with the browsers of our time, such as IE7 +, Opera, Chrome, Safari, Firefox and their mobile counterparts.